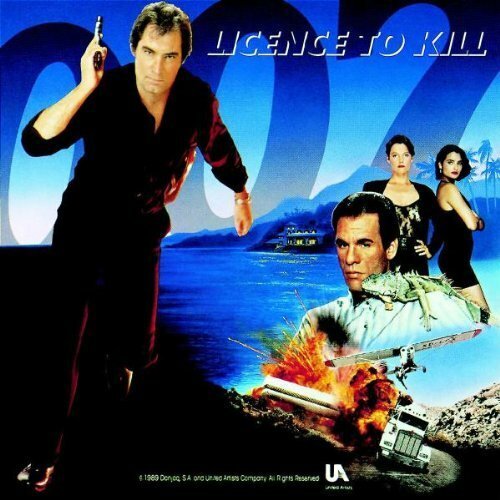 The first image on the page is for James Bond - OST - Licence To Kill: Original Motion Picture Soundtrack Album by Gladys Knight, Patty LaBelle, Ivory, Tim Feehan Soundtrack edition (1989) Audio CD, followed by the original. Also check out the most recent parody covers submitted to the site. Overused theme, dude. "License to Vape" is more appropriate nowadays. Even hookah. "Vape"....awesome. You've just solved the movie title quandary I'd been puzzling over for my next parody. Thanks Critic!